With these trekking Tights, Fjallraven have combined the comfort and flexibility of leggings with the ruggedness and technical features and fabrics of serious trekking trousers. I’ve not seen this type of legwear before and think Fjallraven have definitely created something new with their Abisko Trekking Tights! 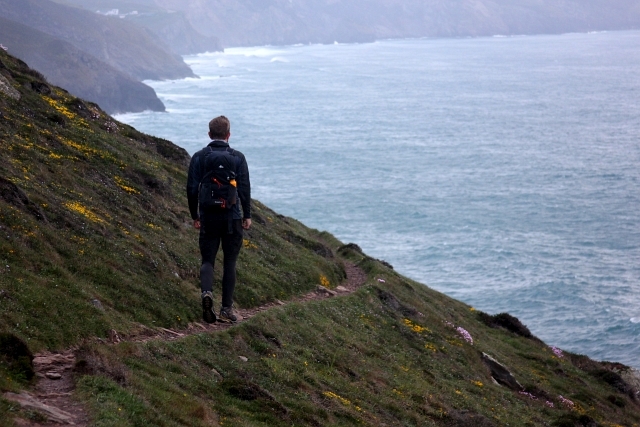 A couple of times I have seen men hiking on the coastal path and in the mountains wearing tights. They were more like sports base layer style tights than these meaty, durable outdoor tights. 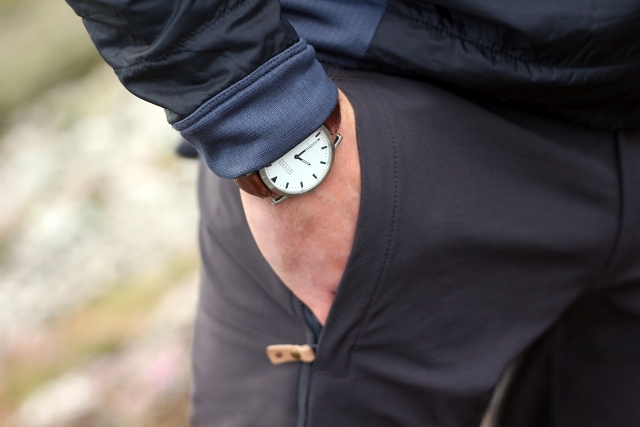 As you’d expect from Fjallraven, they have used some of the best fabrics available. They have made durable panels on the knees (in a similar way to wetsuits) and rear, which have been reinforced to allow you to kneel down without worrying about tearing or ripping your brand new tights. These panels are also waterproof meaning that you can sit down without worrying about getting soggy! The main material is great; it features a blend of Elastane, Polyester and Polyamide which gives the same feeling as trousers with four way stretch. They are considerably more tough than a normal pair of tights which is really good considering they are quite a bit more expensive to purchase, although you definitely get what you pay for. The fabric is super breathable and this immensely breathable material works even better than you’d expect. This is because the tights sit right next to the skin and wick away the moisture a lot better than trousers. 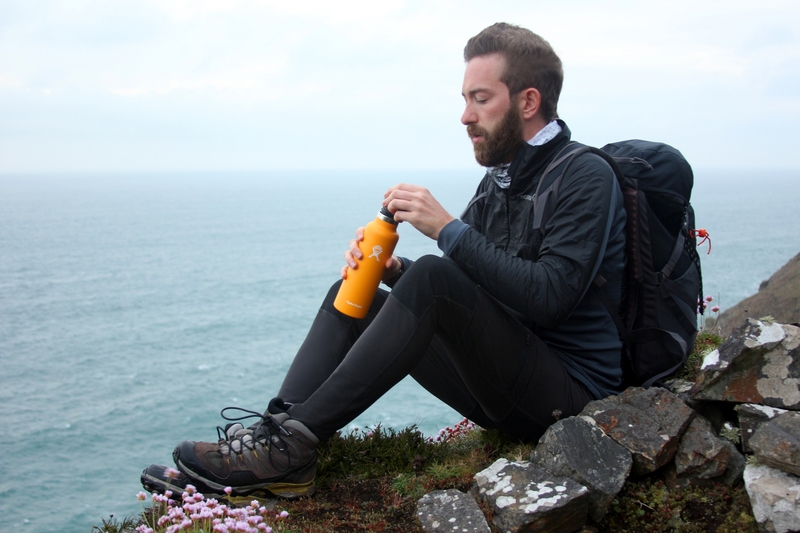 When testing the Abisko Trekking Tights, I found that they were particularly good at more vigorous adventures like fast trekking, trail running or mountain biking. This was because of the freedom of movement that tights offer. 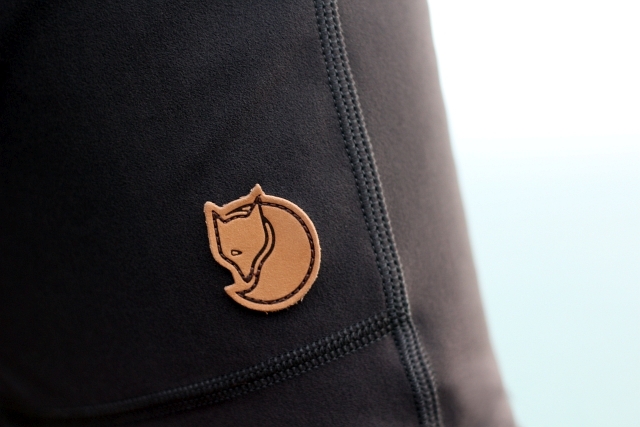 Fjallraven have managed to fix some of the problems associated with hiking in tights. I’ve already written about how they’ve fixed the tendancy to rip. 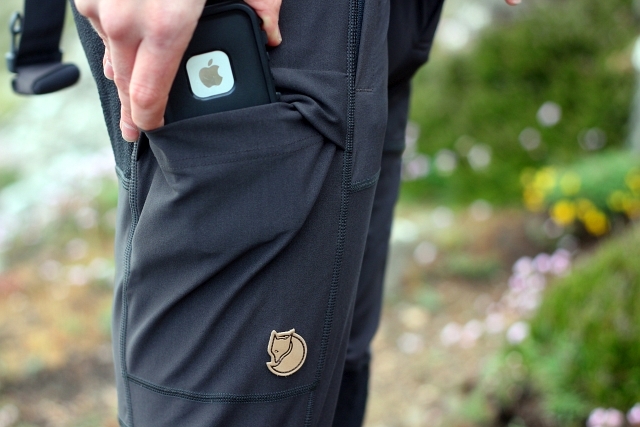 The other major downfall they’ve solved is the lack of pockets to store all your compass, map, phone etc. They have managed to include four different pockets. 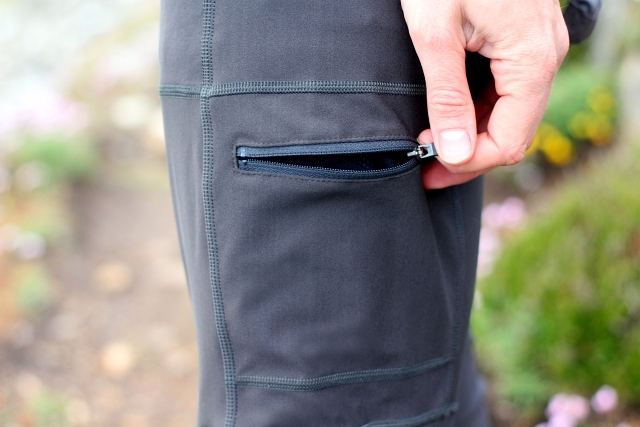 There are two zipped pockets in the usual hip placement. These are a good size and the zips have nice leather tags with Fjallraven branding. On the thigh of the right leg there is a zip-less map pocket. This is a large, deep pocket which is really useful for stashing maps. What I really like about this pocket is that because of the zipless design, I often forgot this pocket was even there. On the left thigh there is a smaller zipped pocket which is perfect for stashing smaller kit like a compass or a snack. I think the Abisko Trekking Tights are great for scrambling as they offer a lot of freedom of movement and the toughened knees with be great for climbing up boulder fields and over rocky crags. They are perfect in mild weather but as they are so lightweight and sit so close to the skin, they work very well and are comfortable under a pair of waterproof shell trousers. 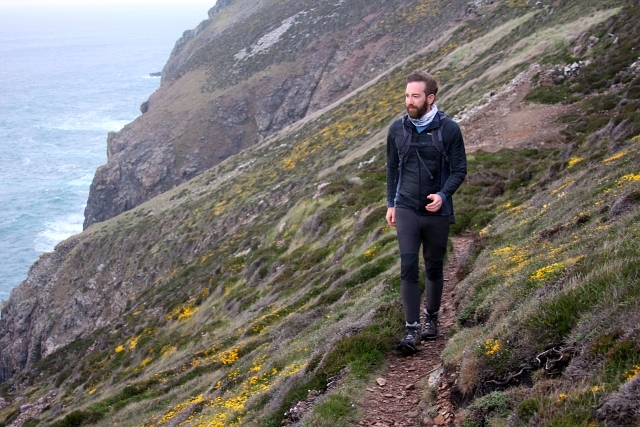 Trekking tights may not be everyone’s first choice to take hiking but they are definitely superior compared to trousers. If you have the confidence to be a bit of a trend setter then you will love wearing Fjallraven’s new take on hiking leg wear.